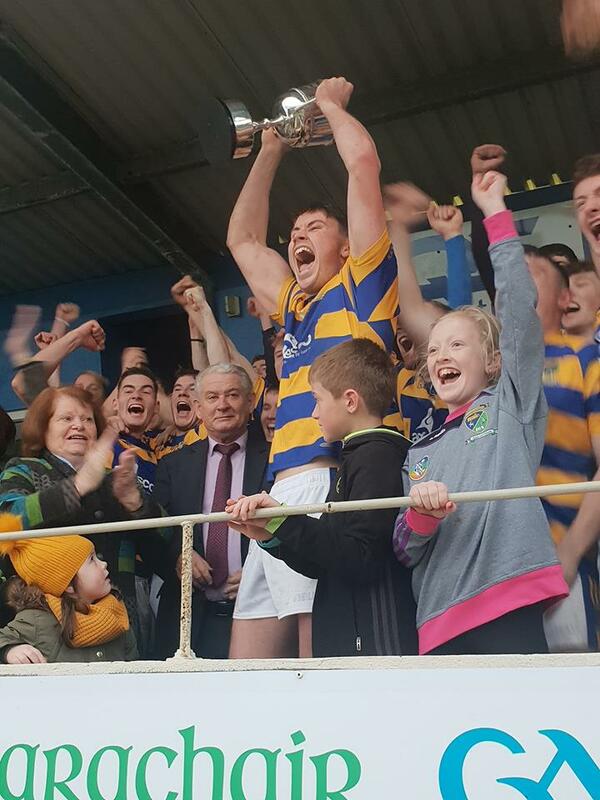 2018 has been a fantastic year for our club. Below is a list of how each team fared in championship action. As can be seen we were very competitive in all age groups and in both codes. Because of our on-field successes a large number of our players represented Waterford on Inter-County panels. Mark Ferncombe and Michael Kiely won the WLR / Granville Hotel monthly GAA awards for September and December respectively. 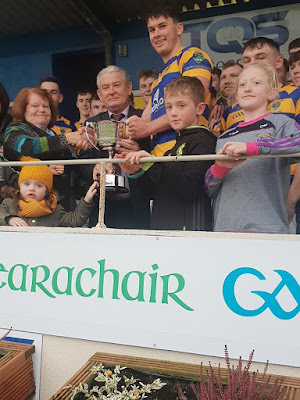 Daithí Brunnock won the U18 Footballer of the Year. 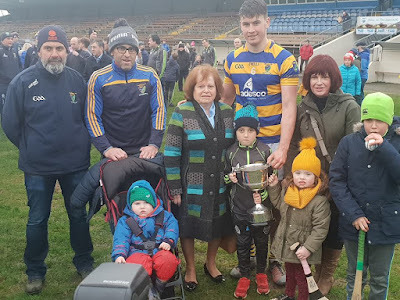 Conor Prunty has been nominated for the Adult Hurler of the Year, Stephen Enright has been nominated for the Adult Footballer of the Year while Michael Kiely is in the running for the Underage Hurler of the Year. Moll Shields was awarded a Special Achievement Cultural Award for her services to Scór over many years. Finally, as a result of all of the above, we have been nominated for Club of the Year 2018. Here’s hoping that in 2019 we can build on the progress made this year. Our ever popular Jack the Joker fundraiser continues this Sunday night in Minnies Bar where the jackpot is €4000 as on Sunday night Liam Sheehan was drawn out of the drum and chose card number 27 which when turned was not the joker but he did win €50. Willie Fennell and Justin c/o Crow won €25 each. 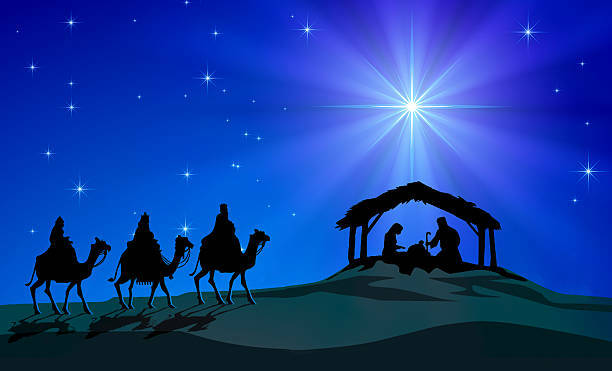 CLG Dún na Mainistreach / Baile na Cúrite would like to wish all its members and supporters, at home and abroad, a very happy Christmas and best wishes for 2019. Our ever popular Jack the Joker fundraiser continues this Sunday night in Minnies Bar where the jackpot is €3800 as on Sunday night B. Carroll was drawn out of the drum and chose card number 50 which when turned was not the joker but she did win €50. Bridget and Crow and Kevin Barry won €25 each. On behalf of all in the club we would like to extend Christmas Greetings to all our members and supporters especially those who have travelled home to our parish to celebrate the season with family. We also send our greetings to the editor and staff of the Dungarvan Leader and the Dungarvan Observer who are a great help to us throughout the year. Nollaig Shona agus Athbhliain faoi Mhaise Daoibh go léir. Our AGM took place on Friday night last in Ballinroad Hall with a very good crowd in attendance. The first item in the agenda was the Treasure's Report and as normal Packie Hurney presented an excellent set of accounts which that despite the significant costs associated with running the club remains in a healthy financial position. Packie thanked all those who help to raise money for the club as without these hardworking volunteers the club couldn't continue to exist. Next on the agenda was our Secretary Tomás Kiely's report. This was a thorough review of what was a most successful year for the club. Tomás offered some thoughts on what lies ahead for the club in the years ahead. There was widespread praise for Tomás as he announced he would be stepping down as club secretary due to work commitments in Dublin. Whilst Tomás is a huge loss to the club we are most fortune that Jonathan O’Donovan will be returning as Club Secretary. Our Club Chairman Michael Briggs then addressed the meeting and in a wide-ranging address Michael congratulated all the club teams who had tasted success in the last 12 months, a year that will him down as one of the most successful in the club's history. Michael thanked all those who gave of their time helping the club during the year before going onto outline the work our Development Committee have carried out in the last 12 months. It is hoped that after our club surveys have been returned the Development Committee will then work on devising a development plan for the club. On behalf of all in the club we would like to congratulate our award winners and nominees which were announced at last week's County Convention. Moll Shields was announced as the winner of the Recognition to Culture Award for her work in Scór for many years whilst Daithi Brunnock was announced as the winner of the Under 18 Footballer of the Year. We have been nominated for Club of the Year with Stephen Enright nominated for Adult Footballer of the Year and Conor Prunty nominated for Adult Hurler of the Year and Michael Kiely is nominated for Young Hurler of the Year. Well done to them all. On Friday morning last we heard the great news that Michael Kiely was the December winner of this award. 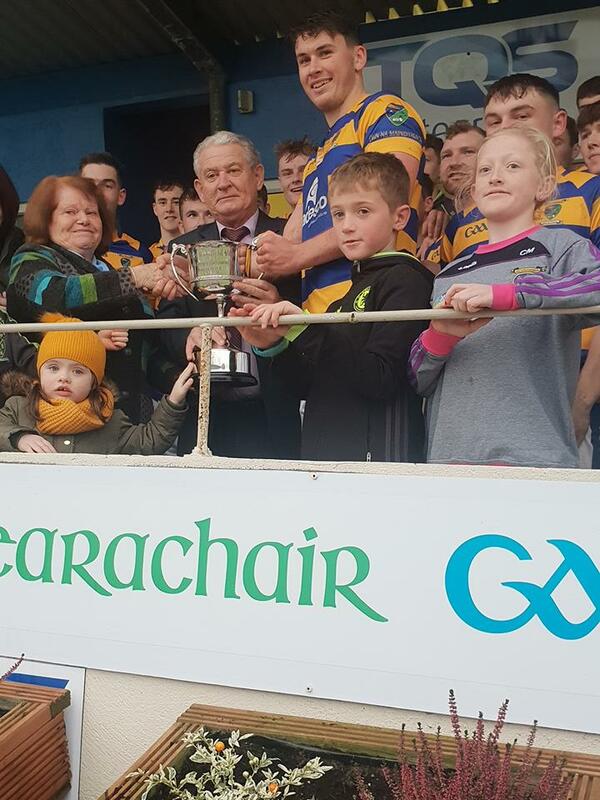 Michael was chosen for his display in the County Under 21 Hurling Final, and it is a fantastic honour for Michael, his family and the club. Our club bingo continues in the CBS Hall this Sunday night where the jackpot is €450. 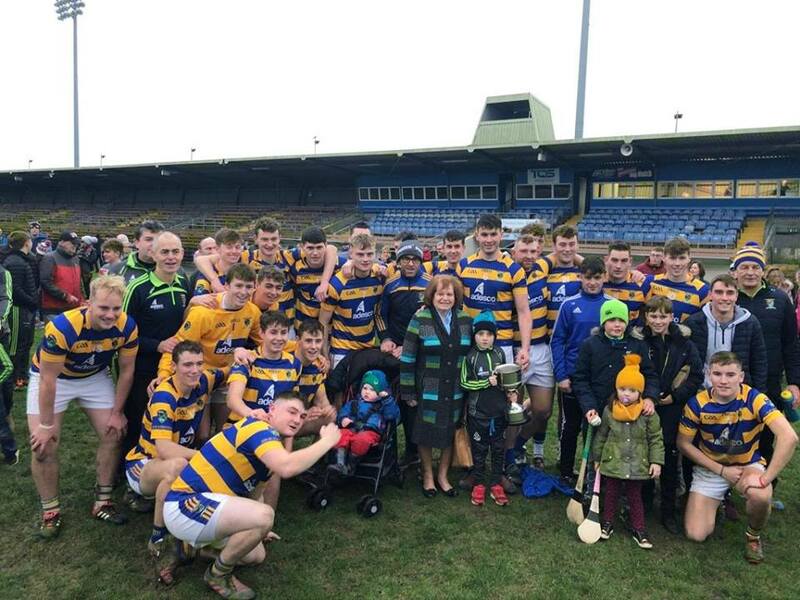 On behalf of all in the club we would like to send our sympathies to Ken Walsh on the recent death of his mother Lilly in County Laois. Our ever popular Jack the Joker fundraiser continues this Sunday night in Minnies Bar where the jackpot is €3600 as on Sunday night Bernadette Burke was drawn out of the drum and chose card number 8 which when turned was not the joker but she did win €50. Joe McGovern and Christy Dunford won €25 each. Our club bingo continues in the CBS Hall this Sunday night where the jackpot is €1400. On Saturday last our Under 13 camogie team recorded a fantastic victory over Tallow in the County Final. This was a wonderful achievement by all of the girls on the panel and their mentors. 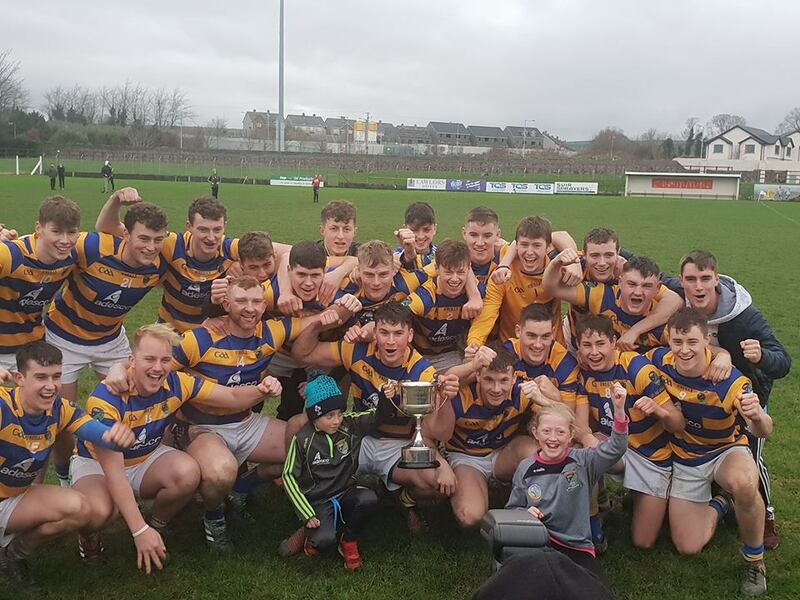 We say well done to them all and look forward to seeing them winning many more county titles in the years ahead. Our ever popular Jack the Joker fundraiser continues this Sunday night in Minnies Bar where the jackpot is €2600 as on Sunday night Bernard Gorman was drawn out of the drum and chose card number 9 which when turned was not the joker but he did win €50. Michael Mernin and Alice Cullinan won €25 each. On Sunday afternoon last our under 21 hurlers took on Cois Bhride in the Western Final in Fraher Field. At the end of normal time the sides were level and extra time had to be played. Great credit is due to the players for the way the performed in extra time as despite being on the go with nearly 2 years now they gave a great display in extra time to win our 3rd Western Final in a row. 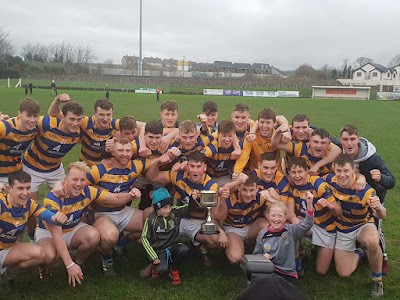 As of now we have no details of when the County Final will be played. TEAM: A. BERESFORD, C. McCARTHY, J. ELSTED, D. MONTGOMERY, M. TWOMEY, D. McGRATH, J. BERESFORD, T. LOOBY, C. PRUNTY, S. WHELAN BARRETT, N. MONTGOMERY, D. BREATHNACH, E. KIELY, K. DWANE, M. KIELY. SUBS: S. AHERN, B. FLYNN. 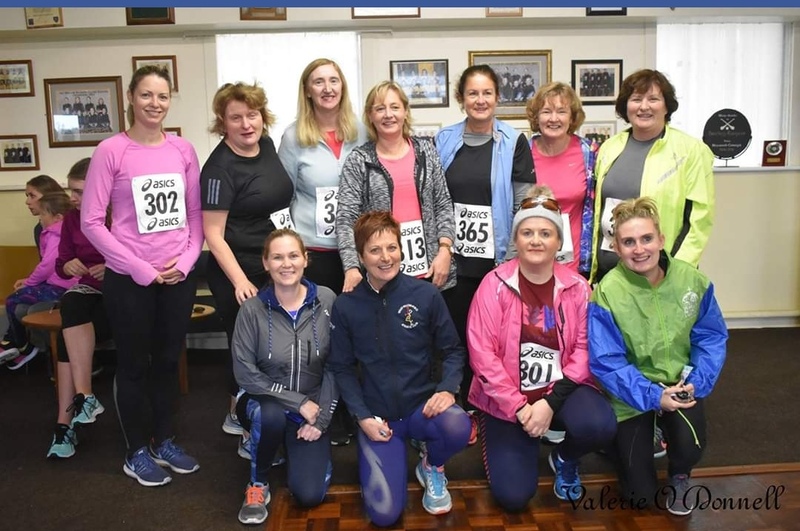 On Sunday last a brave group of club members finished their Couch to 5k challenge by taking part in their 5k challenge. This was part of our Healthy Club Initiative and we would like to thank all those in Waterford Sports Partnership and West Waterford Athletic Club for all their assistance in the weeks leading up to the race. A special word of thanks to Irene Clarke for all her work in helping to train the gang for the 5k.